August 21 is an exciting date. It’s the first day back for students and we’re hosting a community event to view the solar eclipse. All seats and glasses are spoken for so these two things together will bring a larger-than-normal crowd to campus. Do not look at the eclipse unless you have the proper eyewear. Appropriate eyewear for looking directly at the sun requires special solar eclipse viewing glasses or welding glasses rated 14 or higher. Anything less (including your regular sunglasses) will not do. Even though it appears darker, looking directly at an eclipse is similar to looking at the sun. You can cause serious damage to your eyes. Photography requires a special lens. It’s also not recommended to take a picture of the eclipse with your phone or a regular camera. The brightness from the sun can do damage to your camera lens. If you want to use your cell phone, you can place solar eclipse glasses over the camera lens of your phone. However, don’t look at the sun to aim the camera. See more eclipse viewing tips from NASA. Parking may be a little tight. We have plenty of space, but with an extra 300 visitors coming to campus to view the solar eclipse, you might have to park a little further than normal. Give yourself plenty of time to get where you need to go. Millennium Boulevard might be busy. We have to safely move a large group of people from the Astroth Community Education Center to the open field across the street. In order to do this, we’ll need to stop traffic for a bit. This will happen between 1:00 and 2:00 p.m. on August 21. An alternate route is available by using Community College Drive (the other entrance to campus). 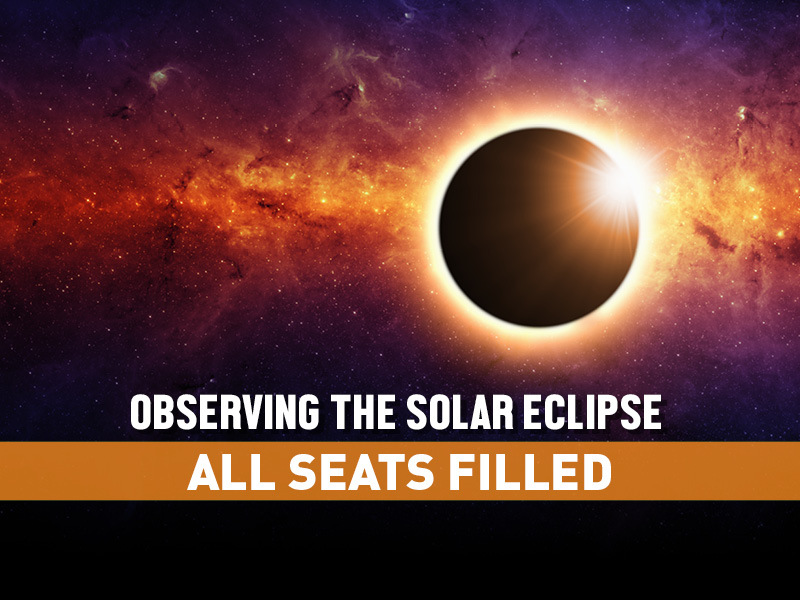 For additional information about the solar eclipse, listen to Stacey Shrewsbury, lead flight director at the Challenger Learning Center, speak with local radio station WJBC.